In August 2009 I posted about artist Seth Haverkamp winning Best of Show at the Portrait Society of America’s Annual Portrait Competition. I am thrilled to see that Seth is a finalist in the Portrait Society of America’s Annual Portrait Competition for 2014. 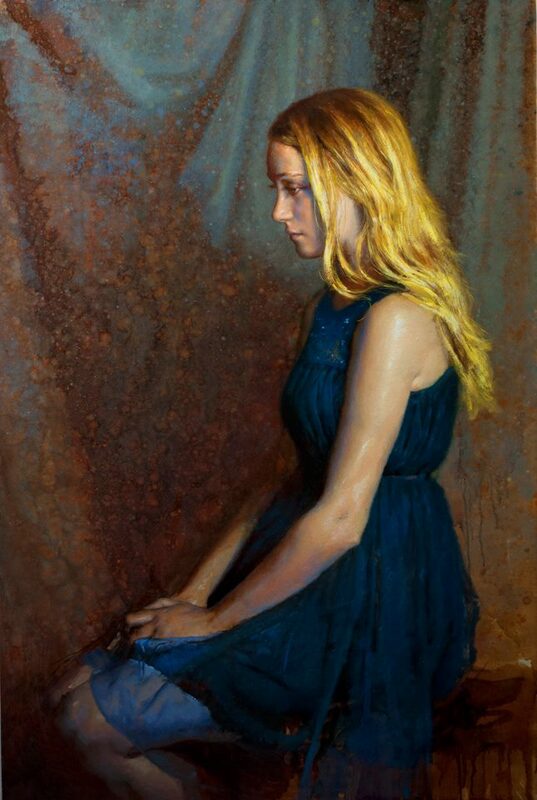 This painting is titled Ponderings and it is a gorgeous painting. If you’re interested in contacting Seth about a commission or just seeing more of his gorgeous work this is a link to his website. I finally made the leap and moved to the Northwest. So far I love the area and vibe. 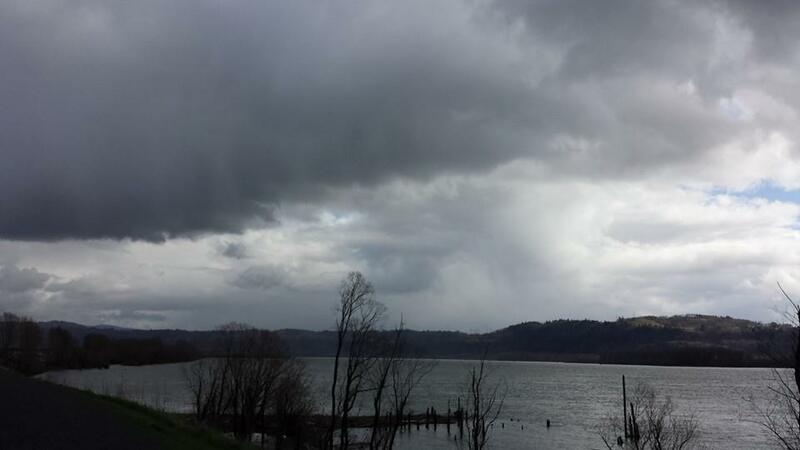 This is a rather broody shot of the Columbia River an on again off again rainy afternoon. 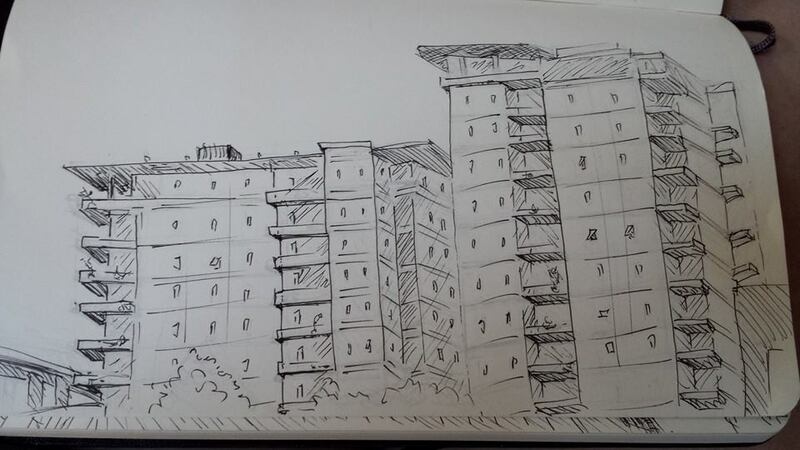 Although I am not a huge fan of nonrepresentational modern art I have my moments. Perhaps it’s more accurate to say that some works have a great effect on me. Rothko, Miro, Close and Diebekorn come to mind. I guess I love Diebenkorn’s work because I understand where these works are starting from. They are large landscapes, reduced to their most basic forms of shape and color. And oh what color, they scintillate and vibrate. They remind me of all the times I’ve flown over the Midwest; fall and towards sunset are the best season and time for viewing. If I squint and scritch my eyes I can almost see the landscape in those shapes and colors that Diebenkorn captured. I am so excited that DC is one of the stops for this show. If you live within driving distance of DC I urge you to stop in and be prepared to be utterly wowed. 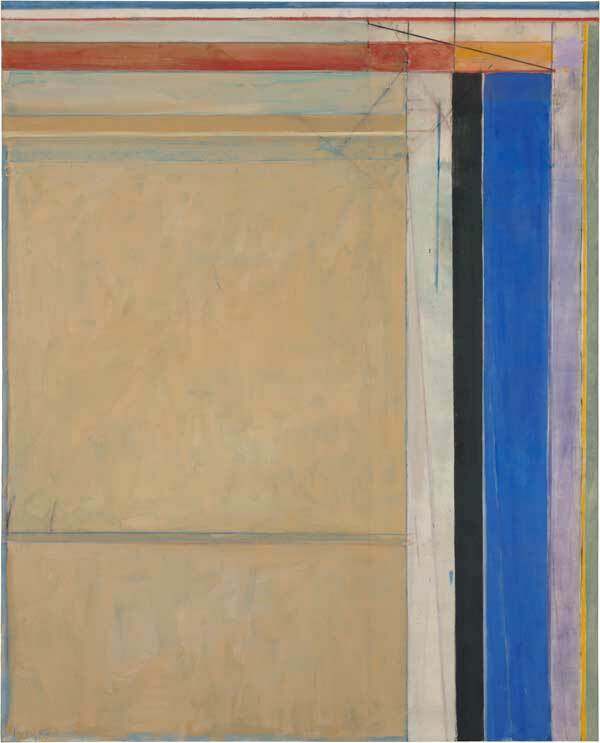 The Ocean Park series by artist Richard Diebenkorn can be viewed at the Corcoran Museum in Washington DC from now until September 23rd. I just purchased tickets online. If you use code 2Oceanpark you will receive a $2 dollar discount when purchasing your tickets online. Earlier this month I spent some time in Colorado visiting friends, cooking, and hanging out by a fire. At the view at 7-9k feet is exhilarating and simply wonderful. It is always hard when I return to the East Coast and put nose back to grindstone. I bought a friend tickets to the show Ann at the Kennedy Center for a Christmas gift. The seats were great and although I didn’t think I’d enjoy a one-woman show about Governor Ann Richards, I did. In fact I loved it. The show will run until the middle of January so if you’re in DC try to make it. You won’t be sorry. I am hoping to get some time in visiting some museums during the weekend there are some amazing art shows in DC. There is also the Eternal Life in Ancient Egypt Show at the National Museum of Natural History. While you’re there peek at the Evolving Universe, hit the Hope Diamond and commune with the dinosaurs. 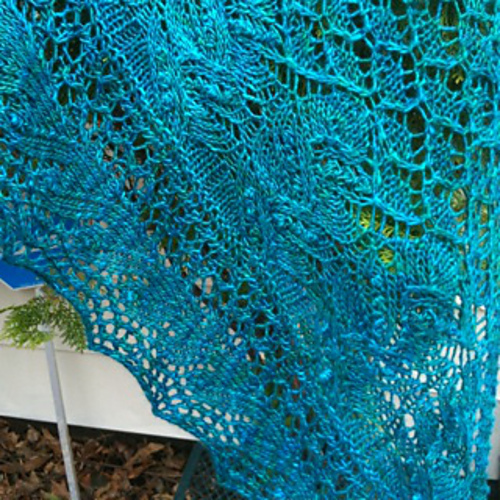 I am still trying to finish up a lace shawl which is a gift for a dear friend. 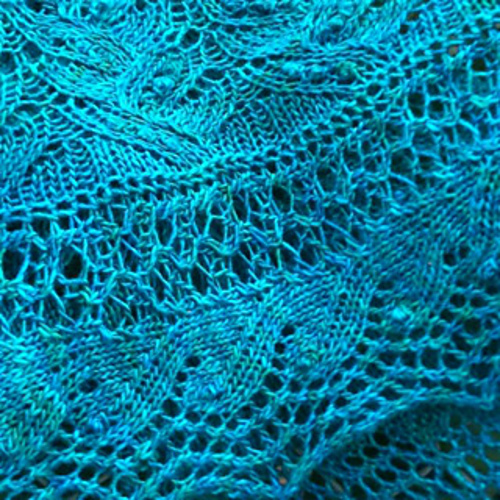 Once that is finished and blocked (and two other items are blocked) the final gifts will have been given and the holidays will be over. I am taking this weekend weather threat into consideration and prepping for the hurricane (Irene) for one reason and one reason only. Because apparently someone ticked off Mother Nature in DC. Who would have ever thought we’d have a 5.9 earthquake here? I was at lunch when it struck so luckily i was on the ground floor vice high up in my office. Once I saw a soda cooler and an ATM heading towards me I yelled earthquake and left the place. As a public service announcement I’d like to share this weather forecast chart. 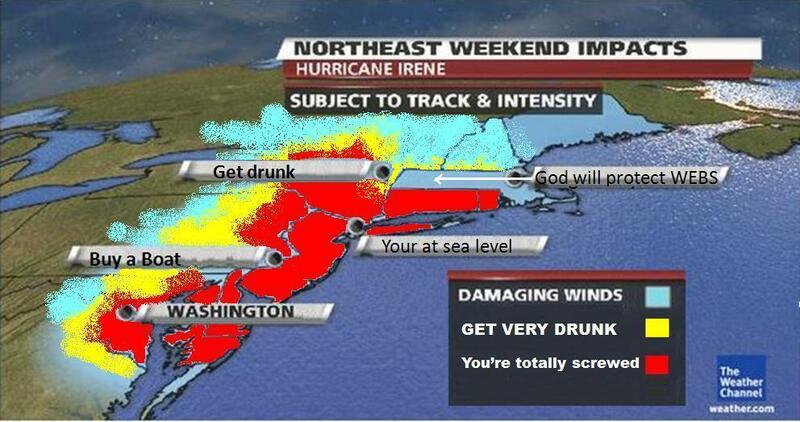 I believe it will help everyone make calm and safe decisions in regards to how to prep for Irene. Seriously though, there is a great hurricane checklist you can download (it’s a pdf) at http://www.redcross.org.